TronicsZone offers customized Electronic Design, PCB Design, Prototyping & Manufacturing Services covering a wide area in the electronics domain. We design all kinds of Electronic Circuits & Electronic Products according to custom specifications. We design, prototype and develop diverse electronic hardware in a customized and highly precise manner. We are capable of converting your ideas or transform a functional diagram to an electronic circuit or product that can help an electronic device perform its functions. With a team of proficient engineers, we build phenomenal electronic design. We bring you embedded system building services. Electronic designs that use Microprocessors or Microcontrollers need these to be embedded into the devices for more precise and controlled operations. Devices of everyday use like TV, mobile phones, refrigerators, microwaves and more used embedded system to control the operations of the device. A software program at the backend controls the functions of the hardware device. We are capable of designing embedded systems for multiple electronic systems. Our expert designers ensure end to end services are met for designing embedded systems. The Printed Circuit Boards (PCB) are popularly known as printed circuit boards too. Each electronic device is powered by a PCB. Most of the electronic products have green colored PCBs that builds the basic circuitry of any electronic device. We have expert PCB designers and developers who have experience in designing the circuitry in software tools. Prototyping and assembly of the PCB’s to build diverse electronic solutions. Our services include PCB layout designing, customized prototyping and if you need your schematics diagrams to be converted into a PC, we are equipped to build multilayer PCB’s also. This involves the development of a full fledged, complete “ready to market” product and consists of enclosure design (either based on readily available enclosures, or custom designed mold preparation), hardware design (schematic & PCB design), user interface design (front panel/control panels), firmware/software design, product approvals (CE mark, FCC, UL etc). We are good at converting mere English descriptions into complete products by interacting with clients till their we understand what they have in mind. 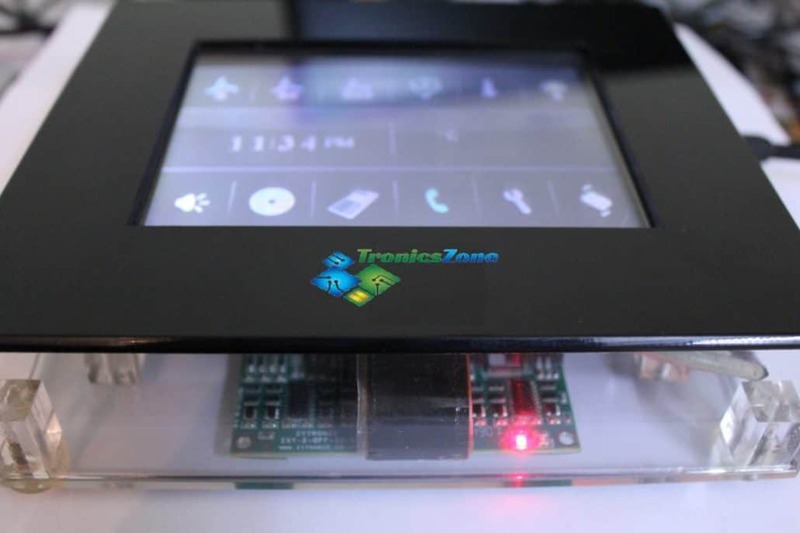 TronicsZone is not only a reliable partner for design and prototyping, but also for small and large scale EMS manufacturing of the designed products. We provide a single point contact from design to manufacturing. Having designed the product we know the stuff inside out and are in the best position to take up manufacturing. We manage component sourcing, part inspection, board assembly, quality checks, functional testing, electrical testing through manual or automated test jigs which can be specially developed to suit the particular job under production. How does our Electronic Design Service work? The client must provide us with details regarding the design requirements (technically known as “design specifications” or “specs”). The specifications must include as much details regarding the design requirements as possible. Some clients may require a confidential non-disclosure agreement to be signed to enable them to disclose the details of the design. We welcome such agreements, given that, they are fair and acceptable. It would be ideal if the client can provide as much details about the design needed as possible. We understand not all clients have a sound knowledge about the technical details involving the design. In such cases, we can convert their requirements in plain English into technical specifications. We sometimes, also suggest improvements/amendments to the design by which it can be made even better or by which the manufacturing/design costs can be further optimized. After studying the design specifications we will analyze the amount of work involved, number of engineers to engage on the design, resources needed, estimated completion time etc. Then we will get back to you with a price quote for the design. After the client accepts the price quote and places the order for the design, we will begin the actual electronic design service. Following is the brief work flow of our electronic design service process. Click on the image to enlarge it. Usually, we include the following as standard deliverables with every electronic design service job. Schematic diagram with part values. PCB layout files in Gerber format. Drill information files in Excellon format. Source code in C or assembly language (well commented) and binary (hex) files for the microcontroller (if used). Source code and executables of PC software developed as part of design (if any). These deliverables will be more than sufficient for you to begin mass production of the design by a third party manufacturer or through us. After the prototype is examined by the client, on rare occasions, they may find it necessary to make a few changes or additions to the device before entering production. If the changes are small and does not involve any hardware changes & if they can be achieved through a simple firmware upgrade, then it will be done without any extra costs. For more elaborate changes that requires the hardware/PCB etc to be re-designed or if it takes a long time to implement the changes to the firmware, it will be charged appropriately. Normally, most of the deigns that we do satisfy the specifications or exceed it, so most of the times, this step will not be necessary. The client must understand that in order to market an electronic device within a country, it will need to satisfy some regulatory requirements within that country. For example, the FCC part 15/part 68 requirements in USA or CE mark in European countries etc. It may be problematic or even illegal to market these products in some countries if they are not certified by the regulatory body. Understandably, meeting these regulatory requirements involves extra efforts & sometimes requires a few design iterations, and hence, can cost significantly more. Some regulatory requirements are easy to achieve and some requires more efforts. The customer is expected to specify the regulatory requirements that the designed product has to meet (if any) in their design requirements/specifications. It would generally cost more to design a product meeting regulatory requirements rather than just to design it for proof of concept (or demonstration purposes), since it involves elaborate testing and verifications from third party test labs to ensure that the design indeed meets the regulatory requirements. Most regulatory requirements are not required if the product is not intended to be sold or marketed (like for use within an organization/industry etc). These are just a few guidelines and for obtaining exact information or more details, the clients must contact the regulating bodies within their countries. We can also support our customers with small quantity test productions (50 to 100 nos. at a time) which will enable them to test out their products in the market. We can help in the mass production by managing the entire production process with manufacturing companies with whom we have good understanding/tie-ups. We also supplement our design services by offering the complete end-to-end management of large volume manufacturing of the designed product where we manage the component procurement, inspections, assembly, testing & packaging with strict quality control procedures. This enables our customers to have a one-stop solution starting from product concept to mass production. Learn about our expertise and design experience.